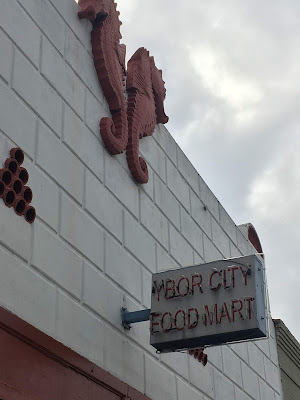 Right up the street from Ybor Supermarket is the confusingly similarly-named Ybor City Food Mart. 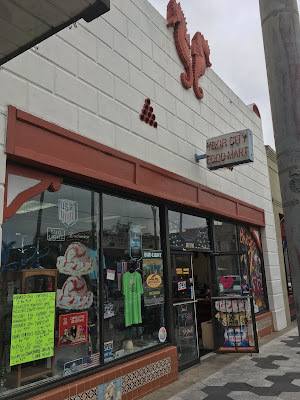 It's also not a full supermarket (although it doesn't claim to be, either), and it does also have a deli. Operating under the name Xander Markets, the store at 1821 E 7th Ave, Tampa is in an interesting building with a very attractive (and intricate) facade on the outside. It's likely that the building was something else before the food store. I don't know exactly what, if anything, the sea horses would represent. The building has been maintained pretty well, although it's obviously quite old. This store seems to cater more to tourists, selling ice cream and souvenirs more than groceries. 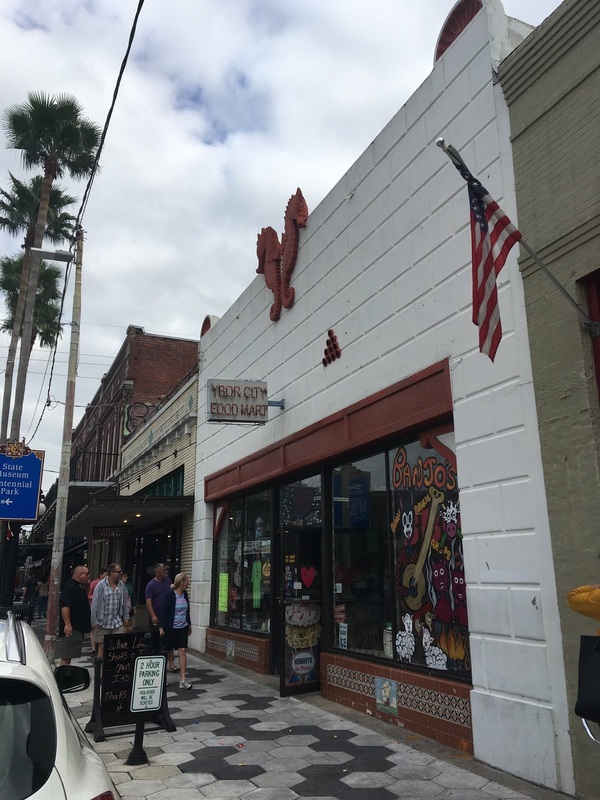 Very nicely kept-up tile work on the front of the building, as many Ybor City buildings have.